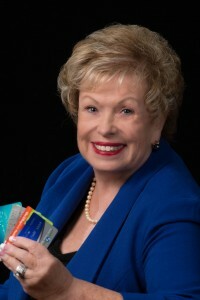 The Merchant’s Payments Professional: Polly Bauer is an internationally-recognized authority, considered by many to be the preeminent expert, on credit card operations and all forms of payment acceptance relating to internet, direct marketing and non-face-to-face payment transactions. Her pioneering work in the field of credit card fraud prevention and detection has made her a much sought after consultant by top direct response industry executives. Ms. Bauer’s focus is helping merchants and processors become payment savvy and minimize fraud and risk. A merchant advocate, she specializes in loss prevention, international expansion for credit card acceptance, and customer payment data security. Global Corporate Speaker: Ms. Bauer is also a much sought-after keynote speaker. She excels at presenting difficult concepts in a clear and understandable way to all levels of management. One of a select few to achieve the highest level in the professional speaking industry, the Master Corporate Speaker Certification, Polly enjoys speaking about credibility in corporate communications, leading a multi-million dollar business, and profitable payments. Her previous keynotes have been for global corporations, as well as professional associations and women’s organizations. Award-Winning Author: As an industry pioneer, Polly has frequented radio shows to answer caller questions on credit. The sheer volume of misinformation and misconceptions about the use of credit astounded her. She felt a need to educate today’s consumers and give them new hope. This drive to positively impact consumer’s financial security inspired Polly to co-author “The Plastic Effect: How Urban Legends Influence the Use and Misuse of Credit Cards,” which won a 2013 Living Now Book Awards Gold Medal. Ms. Bauer currently serves as CEO of Polly Bauer & Associates, Founding Chairman and Board Member for Direct Response Forum, as a Board Advisor to the CNP-Europe, and as Payments Advisor and Director to multiple tech and Direct Sales organizations. She is a recipient of the 2006 Movers and Shakers Award from Transaction World Magazine. Accumulated more than 35 years in the credit card industry. Directed the global expansion of e-commerce companies into 170 countries and currencies, while providing access to local payment platforms. Served as US delegate, European Trade Mission for Direct Marketing. Managed $950 million credit card portfolio for a billion-dollar corporation. Managed the MasterCard Global Card solution for Direct Response organizations requiring multilingual payment products for Europe, Latin America, Africa, Asia and North America. Launched a Private Label Card Program generating sales of $41 million. Implemented three international direct marketing credit card programs, including a turnkey independent sales organization from training through systems conversion and credit card processing to third party merchants. Developed the Fraud Scoring System, which contributes $36 million annually to fraud identity and recovery. Founded the Credit Card Loss Prevention School. Served as Founding Chairman of Home Shopping Network Federal Credit Union. Served as Past Chairman, Founder, and a Director of the Direct Response Forum, the organization that acts as a liaison between the direct marketing industry, e-commerce merchants and credit card associations. Chaired a task team for the Direct Response Forum to review credit card and chargeback regulations for the direct marketing and e-commerce industry. Served as former member of the MasterCard Global Leaders Panel and served as an advisor and educator of the direct marketing industry on committees for MasterCard, Visa, American Express and Discover cards.